Proprietary Name: Kids Mineral Sunscreen Roll-on Spf-50 What is the Proprietary Name? Non-Proprietary Name: Zinc Oxide What is the Non-Proprietary Name? 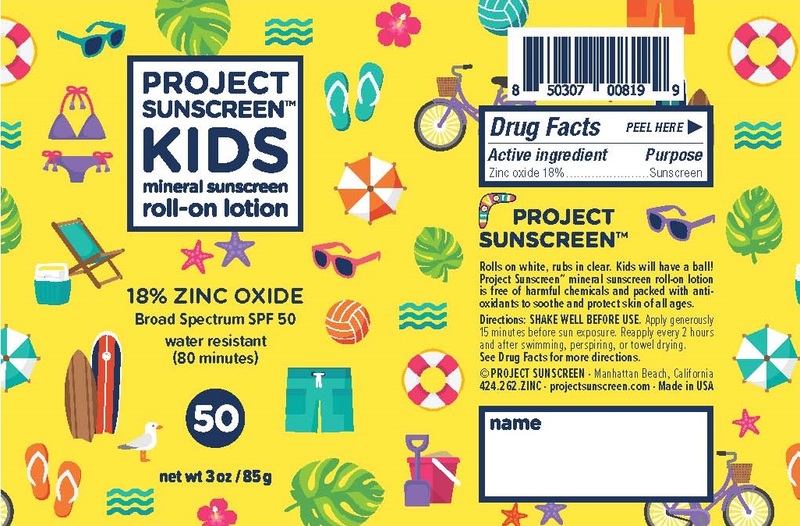 Kids Mineral Sunscreen Roll-on Spf-50 with NDC 72688-104 is a a human over the counter drug product labeled by Project Sunscreen. The generic name of Kids Mineral Sunscreen Roll-on Spf-50 is zinc oxide. The product's dosage form is lotion and is administered via topical form. 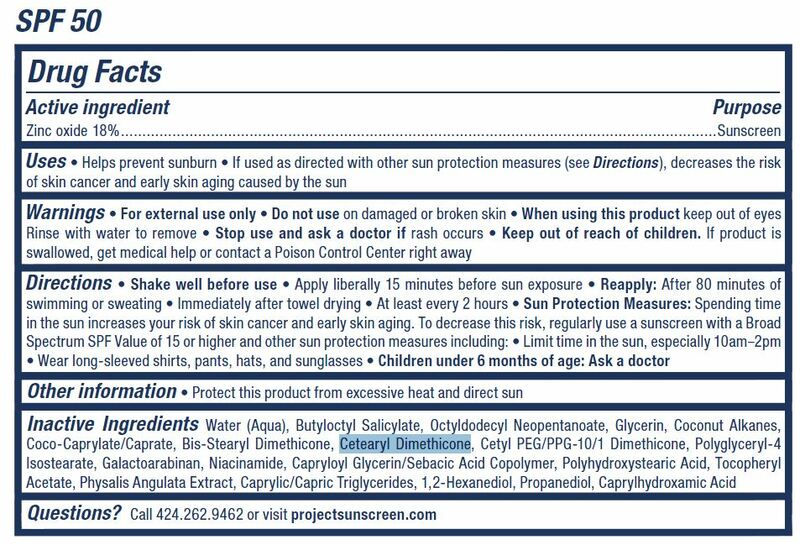 HELPS PREVENT SUNBURNIF USED AS DIRECTED WITH OTHER SUN PROTECTION MEASURES (SEE DIRECTIONS), DECREASES THE RISK OF SKIN CANCER AND EARLY SKIN AGING CAUSED BY THE SUN. KEEP OUT OF REACH OF CHILDREN. IF PRODUCTS IS SWALLOWED, GET MEDICAL HELP OR CONTACT A POISON CONTROL CENTER RIGHT AWAY.